Jewel of the Dragon slots pokie machine - Play here 100% Free. Jewel of the Dragon is another video Bally pokie that has been taken from land casinos and offered as an online game. This online poker machine is from Bally and presents players with a unique theme and some nice features. This is a standard five reel slot game that is played on four rows with 40 paylines. There are some great features that will surely be enjoyed by anyone playing the game for real money, though these features are also available in the free play mode as well. With Jewel of the Dragon, players will embark on a jewel seeking adventure along with a cute little dragon who represents the theme of the game. Try this slot free below with Bally slot downloads not required. When players first access the game, they will see the dragon sitting atop the screen and the reels are located beneath. The symbols in the game are pretty basic, but they are bright and colourful, so they add a nice touch. There are no 3D graphics or insane animations used. The symbols that will be seen on the reels include a bell, crown and shield as the higher paying symbols and the lower paying symbols of 9 through Ace. Jewel of the Dragon is primarily played as a penny pokie (aka low bet, five cent machine), so a small bet of $0.40 will start the reels spinning and will offer access to all game features. The game can also be played for higher bet amounts and there is a maximum bet of $400 per spin. The top payout on the base game will award players with $1000 and much more can be won with the Hot Zone feature as well as with the free spins. As one would expect, the video pokie has a Wild and this can appear anywhere on the reels to help complete winning combinations. One of the nice features of the game is the Hot Zone. There are some shapes that will fall and if they stop on the reels, any position that is covered by the shape will become wild. There are also symbols that have small; pink diamonds on the corner and these will appear on the middle three reels. If three of these appear, a special feature will be triggered. Players will select one of three diamonds to reveal a Drop Zone on the game, which is similar to the Hot Zone. These positions wilt run symbols wild. Three or more dragons will start the main feature, a free spin round. Players will get 8 free spins and the feature cannot be retriggered. During the free spin round, the Hot Zone feature will be enabled for better wins. Jewel of the Dragon is one of the feature rich games from Bally and it is a great choice for anyone who likes a light hearted theme and great ways to win. 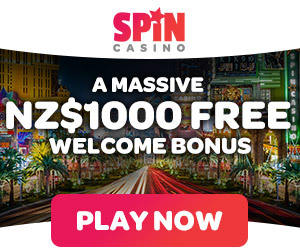 The game is affordable and with the free spins and Hot Zone features, there are many chances to collect unbelievable payouts from small wager amounts. This game is a must play for any online pokies fan and will surely offer some great entertainment for punters even if it’s just for fun Bally slot action. Google + Profile: Tina Lim on October 10, 2014. on August 21, 2016.